The focus of your strategy should be to make sure that your products and services meet customer needs and that you develop long-term and profitable relationships with those customers. To achieve this, you will need to create a flexible strategy that can respond to changes in customer perceptions and demand. It may also help you identify whole new markets that you can successfully target. One of the key elements of a successful marketing strategy is the acknowledgment that your existing and potential customers will fall into particular groups or segments, characterized by their ‘needs’. Identifying these groups and their needs through market research, and then addressing those needs more successfully than your competitors, should be the focus of your strategy. You can then create a marketing strategy that makes the most of your strengths and matches them to the needs of the customers you want to target. For example, if a particular group of customers is looking for quality first and foremost, then any marketing activity aimed at them should draw attention to the high quality of your products or service. This could be achieved through various forms of advertising, exhibitions, public relations initiatives, internet activity and by creating an effective ‘point of sale’ strategy if you rely on others to actually sell your products. Limit your activities to those methods you think will work best, to avoid spreading your budget too thinly. A key element often overlooked is that of monitoring and evaluating how effective your strategy has been. This control element not only helps you see how the strategy is performing in practice, it can also help inform your future marketing strategy. A simple approach is to ask each new customer how they heard about your business. 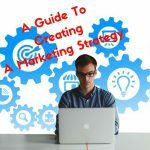 Once you have decided on your marketing strategy, draw up a marketing plan to set out how you intend to execute and evaluate the success of that strategy. The plan should be constantly reviewed and, if necessary, updated so you can respond quickly to changes in customer needs and attitudes in your industry and in the broader economic climate.